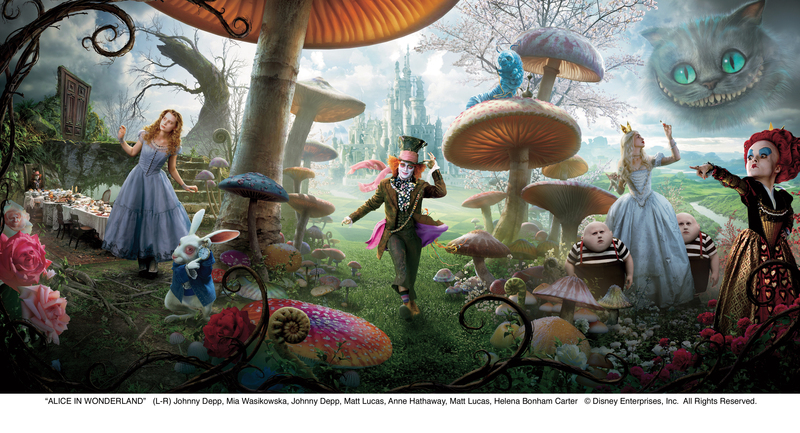 Hopefully you’ve seen the new posters for Disney’s Alice in Wonderland over the past couple of weeks (check them out in the related links below if not). They’ve all been beautifully thought out and really sell the new re-telling of the story that we know and love. Well, today, the lovely people over at Disney (you know who you are!) have sent us this amazing banner which combines all three posters together to create an amazing panoramic banner. You can click the image above to view it in a size suitable for most monitors but if you’re feeling really high def today, you can download the full version below. I’m not sure by name who designed it or which group of people it was but I’ll try and find out and give them credit here. Alice in Wonderland stars Johnny Depp, Mia Wasikowska, Helena Bonham Carter, Anne Hathaway and a whole host of other names, is directed by Tim Burton and is released 5th March 2010. Previous articleReview: Did You Ever See… Rounders? Next articleAaron Sorkin Returning to TV?